It’s a tale not uncommon on many college campuses, but it’s no less impressive: a team of just two full-time staffers is responsible for more than 100 live productions in an academic year. At the University of Portland, OR, that hardworking duo is Jose Nevarez and James Vega. Portland’s Director of Live Video Production Jose Nevarez (center) will serve as lead producer on more than 100 live productions this academic year. The Pilots’ Portland Sports Network has grown rapidly over the past few years, and the 2017-18 academic year promises to be its biggest yet. The team is slated to eclipse the century mark in live productions in a year for the first time ever, and it has even expanded its current relationship with local regional sports network CSN Northwest (soon to be rebranded NBC Sports Northwest). PSN will produce 18 live games and 40 episodes of its newsmagazine series, Portside With the Pilots, for CSN Northwest. In addition, more than 70 events are slated to air on the West Coast Conference’s digital network, TheW.tv. All the content is produced by Nevarez, Vega, and a student crew that today is 12 members strong. “Talented students and cutting-edge technology: that’s how we are able to do this,” says Nevarez, who serves as director, live video production, University of Portland Athletics. Building a pool of student talent can be a challenge because the university does not have a broadcasting or journalism department on campus. Many of the positions on a live broadcast are filled by students with a seemingly odd collection of majors, including nursing, computer science, engineering, and psychology. Nevarez and Vega make the most of the students who are interested and train them to become knowledgeable about the complete production process. Nevarez’s approach is to let a student specialize in a position that they truly like and commit to that spot in the production. When they first come on board, however, he places them on the main game camera. The Portland Sports Network’s centralized control room features a NewTek TriCaster 860 at its core. 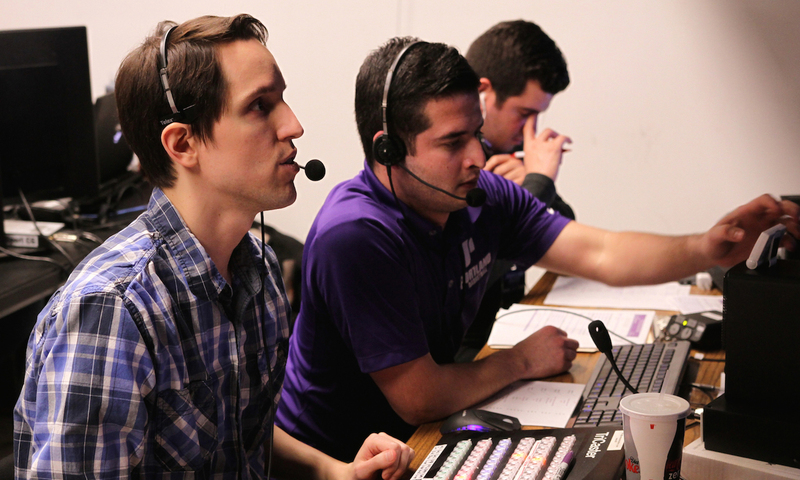 NDI technology allows signals to come from venues all across campus. 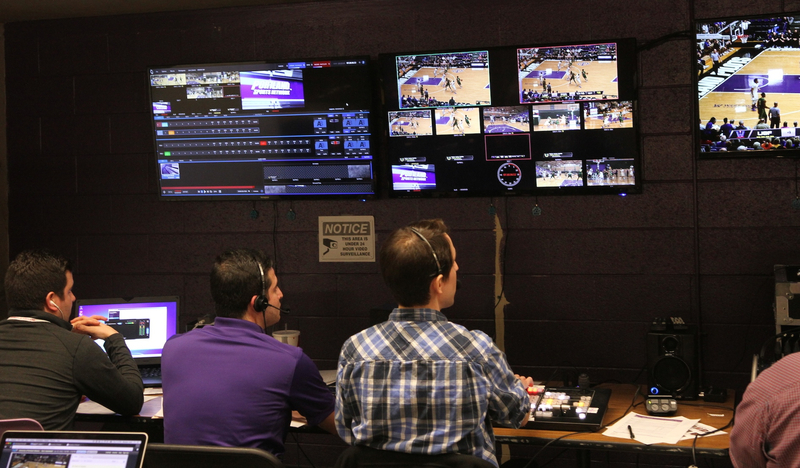 Recently, the university moved away from a flypack model and cut the ribbon on a centralized control room in the Chiles Center, the program’s basketball arena. Currently, the control room is built around a NewTek TriCaster 860 production switcher with Advanced Edition and features a NewTek 3Play 425 for replay (Nevarez is also experimenting with a touchscreen replay system developed by a local Portland startup), a Yamaha audio console, and a Clear-Com system for comms. LiveText is typically used for graphics on a TheW.tv broadcast. Producing games for CSN Northwest, however, the team taps into the RSN’s graphic package through a ChyronHego Lyric Pro. Signals from across campus come into the control room’s production switcher via NDI technology, allowing Nevarez and the team to tap into the campus’s fiber infrastructure. The Portland Sports Network has grown so much over the past couple of years, Nevarez notes, that the centralized control room has become a regular part of many Pilots coaches’ recruiting pitches.